Mr. Don Robertson’s career spans 40 years within the nuclear industry. 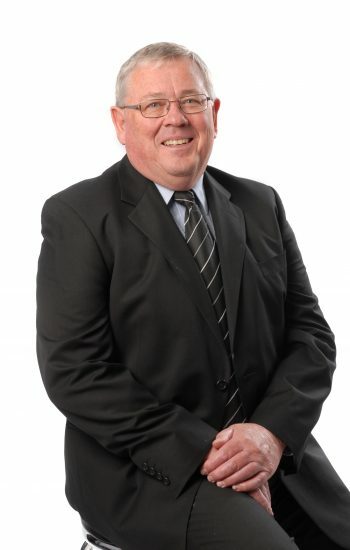 Through his skills and expertise, Mr. Robertson has previously worked as the Acting CEO of NECSA SOC Ltd, been the managing director of NTP Radioisotopes (Pty) Ltd, the General Manager of the NTP Business Division of NECSA, and as the Head of Applied Radiation Technology at NECSA. He has previously served as the Chairman of the Board of Directors of AEC Amersham SOC Ltd, as Chairman of the Board of Directors of NTP Logistics SOC Ltd, a Director of Gammatec NDT Supplies SOC Ltd, and as Director of NTP Radioisotopes Ltd.
Mr. Robertson holds a MSc in Mathematics, BSc Honours in Mathematics and a BSc from Rhodes University.